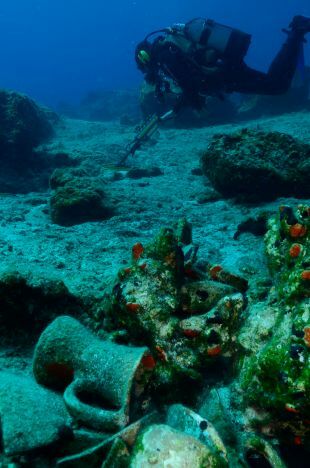 A cluster of ancient shipwrecks dating to the Roman Empire era 2,000 years ago or more has been discovered off the Mediterranean island of Naxos, Greece. The find is remarkable both for the sheer number of wrecks discovered in shallow water, around 30 meters in depth, and the fact that it hadn't been made before. As the innumerable tourists to the area sunbathing on its beaches can attest, the sea at Naxos is crystal clear. In antiquity Naxos was less renowned for its gorgeous beaches and more for producing fine-grained marble, excellent for sculpting. Some of the Greek masterpieces were made of marble quarried on the island. In fact examples of sculptures made of Naxian marble (and Parian marble from the next-door island of Paros) have been found around much of the Mediterranean, including in Israel. In 2015 archaeologists announced the discovery of a parian marble slab inscribed in Hebrew in the Galilee. That slab dated to around 1,500 years ago, much later than the ships found hiding on the Naxian seabed. But it too goes to show that there had been brisk long-distance trading in stone from the island. And where one has long-distance trading by sea, one has maritime mishaps. Actually what the archaeologists had been looking for was Naxos' southern harbor, which had historically been connected to Kastro Apalirou, a Byzantine-era fortified settlement built on the Naxos mountaintop. 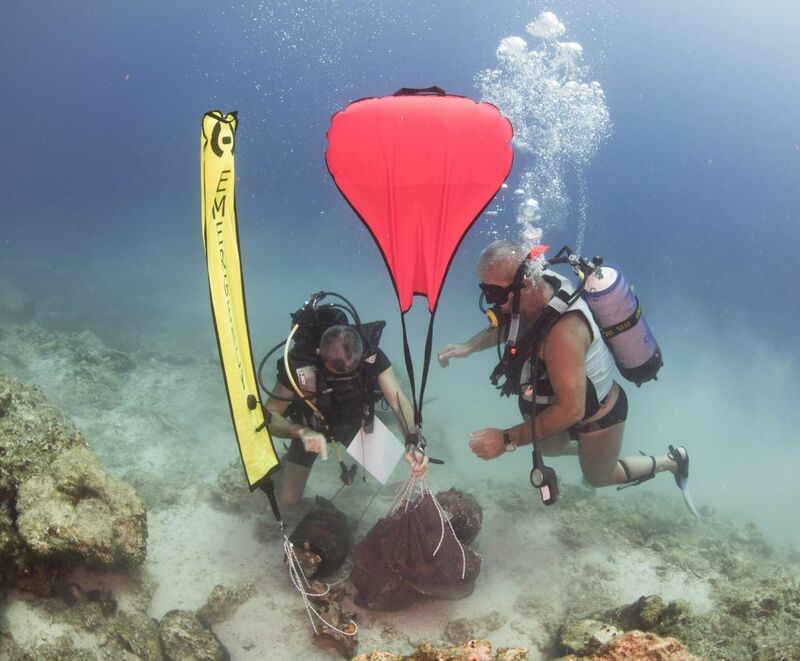 The underwater explorers got more than they bargained for when a local diver, Manolis Bardanis, guided them to two reefs laden with ancient treasures. 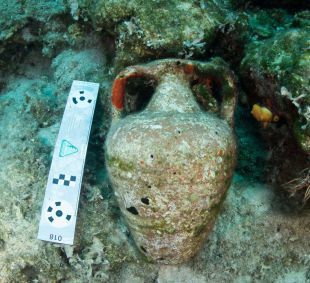 One reef was found to be concealing multiple amphorae of similar type plus several anchors. 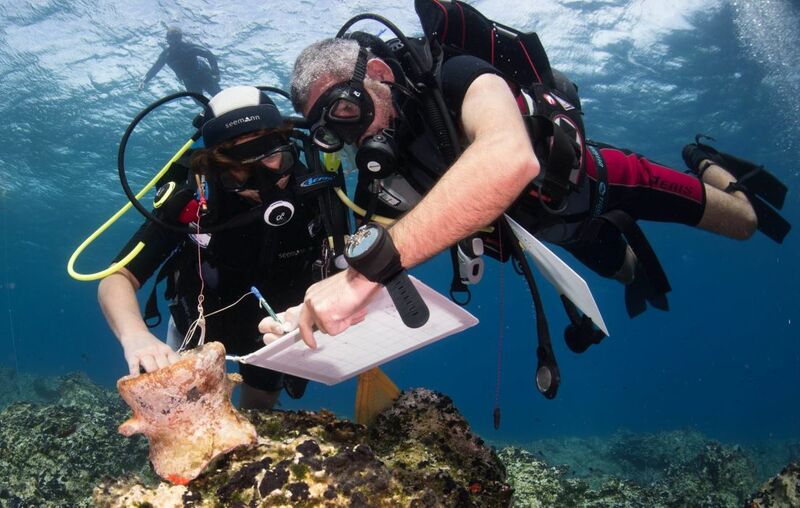 That indicated to the divers that they had found one or more shipwrecks, says Dr. Sven Ahrens, co-director of the project with Ekaterini Tagonidou. The cargo was found to originate in Western Asia Minor and to date to the Early Roman period (100 B.C.E. – 300 C.E.). 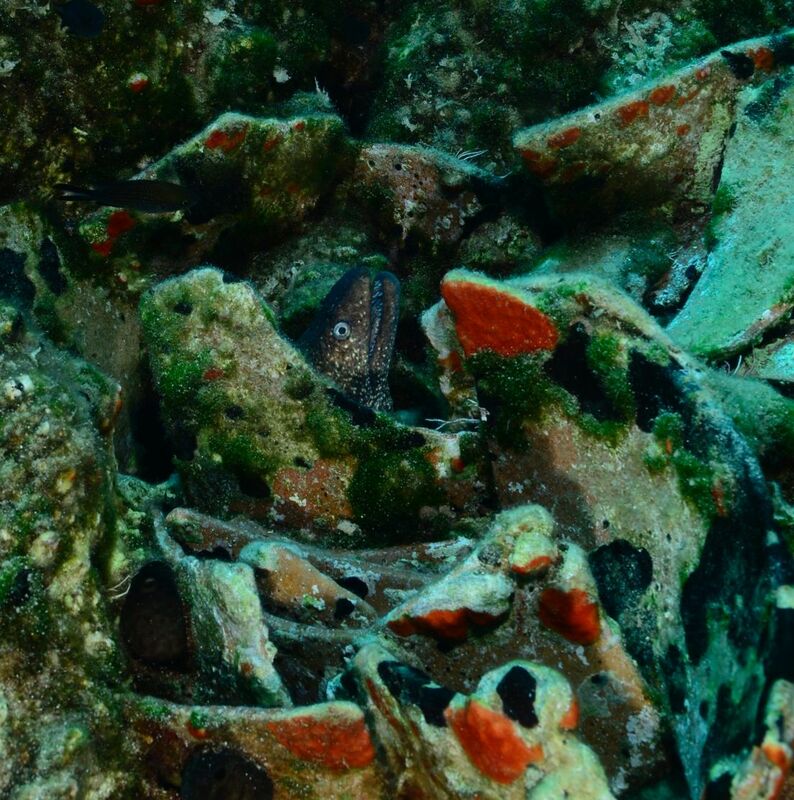 The other reef had even more surprises in store: three shipwrecks dating to the Hellenistic period (323-31 B.C.E. ), Roman Imperial Period (27 B.C.E.- 284 C.E.) and the Late Roman Period (300-600 C.E.) were soon identified. That sounds like it adds up to four wrecks. 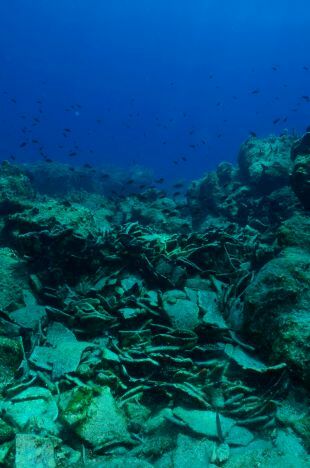 But to be meticulously accurate, because of the centuries of wave impact and probable looting, how many wrecks lie there cannot be determined with any kind of certainty, Ahrens admits. That said, continued exploration with side-scan sonar found four more shipwrecks laden with amphorae. These last four have yet to be visited by divers, so their dating remains unsure. The archaeologists investigating the site intend to dive there during 2018. But meanwhile, they can say that the reefs and seabed by Naxos had been hiding at least eight ancient wrecks of trading ships. Aside from the fact that somebody ought to have noticed them before in the lucid water, the existence of boats on the floor of the Naxian sea is no surprise. From prehistory through the Roman Imperial era, merchants plied the waters of the Aegean, and sinking was not rare. In fact, by a weird coincidence, eight ancient wrecks were found at nearby Fourni earlier this year. “The route was followed some Dodecanese islands and then continued through the Aegean islands," says Ahrens. "The advantage with such a sea route close to land was that there were many harbors and anchorages on the way where the ships could seek shelter. The islands would offer some protection on the leeward side from wind and waves. So we have to assume that a lot of the East-West traffic went through the straight south of Naxos, at least in the Roman Imperial time." The imperial merchants carried wheat, wine, olive oil, garum fish sauce, armor and also passengers. “The vessels would have been loaded with anything profitable enough to justify a long and dangerous sea journey," says Ahrens. Two thousand-plus years later, only the durable materials were preserved, including building materials, and oil and wine amphorae, he says. The archaeologists also found bricks and roof tiles, which could have been cargo. "Or, as we know from other wrecks, they may have been used in the construction of the boat, e.g., to form a small roof or an open fireplace,” Ahrens explains. In the future, visual assessment of the style and size of the jars, possibly augmented by molecular analysis of the clay, can tell the archaeologists where the clay amphorae were originally made. The merchant ships had a mainsail and foresail and were steered using two large oars located in the stern. They would often feature a figurehead representing a certain goddess or god. Merchant ships in the Imperial Period usually had crews composed of 10 to 15 sailors – but some were much bigger. The apostle Paul, who supposedly lived in the first century C.E., is said to have boarded a merchant boat in Myra that carried a cargo of wheat as well as crew and passengers totaling 276 persons: "And we were in all in the ship two hundred threescore and sixteen souls" (Acts 27:37,38). Nor is that the biggest ancient ship reported. Paul's contemporary kinsmen, the Roman-Jewish historian Flavius Josephus, reports that he once sailed on a ship carrying 600 (The Life of Flavius Josephus, 15.3). The divers also found gear that had belonged to the mariners, including tableware, cooking pots, and several wine jugs. 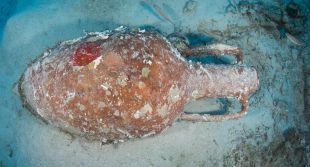 “We assume that some of the content of amphorae found in anchorage areas was consumed by the crews and the empty amphorae were thrown overboard. We have further found a small stone palette, which assumedly was used to blend or crush make-up or other cosmetics,” Ahrens told Haaretz. 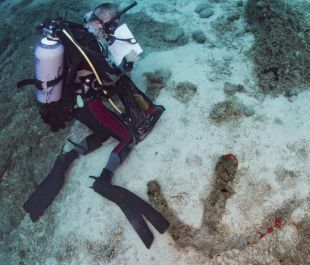 The divers also found several types of anchors dating from the Archaic Period through the Byzantine Period, composed of stone, lead, and iron, respectively. The earliest known anchors were simply big rocks attached to ropes, that were let down from the ship's bow of the ship. Later, wooden anchors of hook form, weighted with stone or metal, started to become used in the Mediterranean. Some had lead arms. Eventually, anchors made entirely of metal were used: some looking like the anchors we know today, but others were double-fluked. The ancient Naxians shipped their famous marble mainly from the northern harbor, Apollonas. The whole point of this expedition, that unexpectedly found the boats, had been to find Naxos' southern harbor, Parnamos, which had also been in use during antiquity, and apparently became the main southern harbor during the Byzantine period. That southern harbor, near Naxos' southernmost tip, had been in use at least since 500 B.C.E., says Ahrens. "We believe that the site may have provided shelter for boats sailing through the Aegean that waited for favorable winds." Why would they think that? The Aegean seas are notoriously fickle. The main wind on Naxos comes from the north and the anchorage would protect from that, but once in a while, a rare strong south wind blows, putting the ships at risk. The site is littered with ancient anchors, testament to what can happen when the weather changes suddenly. The crews would have to hoist the anchor to maneuver, or if impossible, cut the rope to escape the bay and the dangerous rocky coast as fast as possible, Ahrens says. 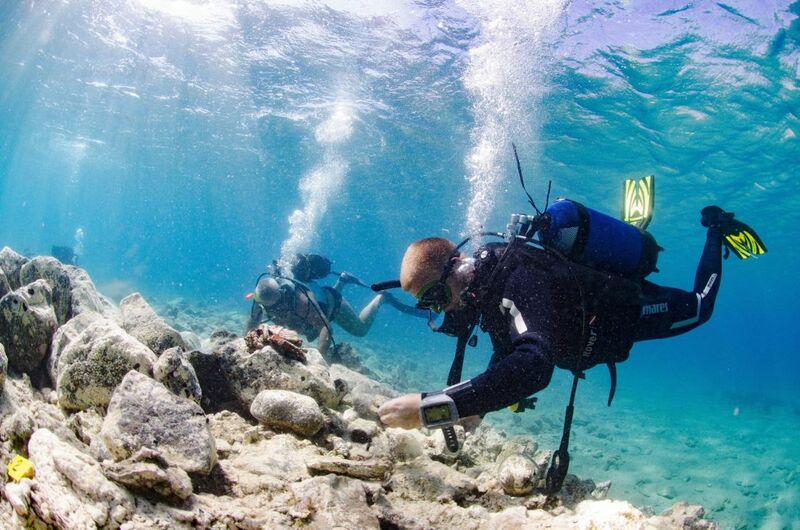 The divers also found a small harbor, probably connected with a farmstead or small settlement, in Andrios Bay. And there were other good natural harbors, like Kalantos and Alyko, for merchants in need of shelter. The next stage of the project is to continue surveying and study the finds with an ROV (remotely operated underwater vehicle) in 2018. Finding the eight shipwrecks in such a small place was already a remarkable coup, but they suspect many more lurk down there in the crystal depths, just awaiting the attention of diving archaeologists directed by local fishermen who seem to have known about them all along. The project is an collaboration of the Norwegian Maritime Museum, the Norwegian Institute at Athens and the Greek Ephorate of Underwater Antiquities at Athens and the director Angeliki Simosi.